Feeling prepared for college isn’t just about having the right size sheets for your dorm-room bed. Emotional and mental readiness is what will really help you sleep at night. 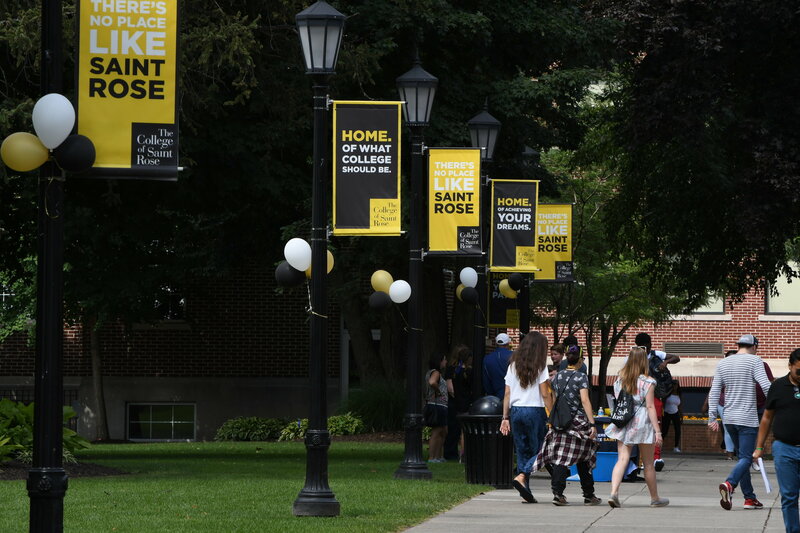 The College of Saint Rose recently partnered with the JED Campus Program to support student well-being and mental health. With the help of JED’s Set To Go program, we came up with five tips to help high school students enter college feeling confident and ready for success. It’s important to consider the value of a college education before filling out an application. Take time to research and ensure you’re making a decision that feels right for you. Talk to your family, your guidance counselor, and others who might have gone through the college selection process. If you decide college is the right path for you, then find your perfect fit. We suggest making a list, prioritizing based on your specific needs, and visiting campuses. Don’t be afraid to ask questions – but most of all – have fun. But you want to arrive at college prepared to take care of yourself. That means learning how to go to bed at a decent hour, how not to live off of Hot Pockets alone, how to self-motivate, and how keep your first-ever credit card from becoming a black hole of debt. Self-care, or caring for your body and mind, is an important part of college. Having the ability to empathize, maintain positive relationships, set and achieve goals, and manage your emotions will make your time at college a lot easier and more fun. And you’ll carry these skills throughout your life – like when the roommate becomes the cubiclemate. There’s a lot to look forward to at college, such as interning at your dream job, but let’s just get real for a moment: College can sometimes be overwhelming and difficult to manage. People handle this in all kinds of ways, such as drugs and alcohol, which leads to unhealthy behaviors. There are tactics to prevent substance abuse before it starts, such as learning good stress-management techniques before you ever arrive on campus. To feel prepared for what’s next, it’s important to acknowledge what you might experience while starting this exciting chapter. High school friendships might change as everyone goes their own way. Your newfound freedom could impact your sleep schedule, social life, health, and more. Academically, you might feel added pressure to do well, or the reverse, you may not feel motivated to go to class at all. This might sound like a lot, but the most important piece to your transition is to maintain a level of self-awareness and always know where to turn to if you need help. The College of Saint Rose recently joined the JED Campus Program in support of student well-being and mental health. The program is designed to identify opportunities to enhance emotional health and substance abuse and suicide prevention efforts on campus in order to ensure that schools have the strongest possible mental health safety nets.